Children generally need time to adjust to the changes that come with divorce or paternity separation, especially if relocation is necessary. It can be confusing and destabilizing, especially for young children, to rotate between living with both parents, but in separate households. Maintaining consistent contact and face-to-face time with both parents is an important part of making the divorce or paternity process easier, and the law in Florida favors granting shared custody/time-sharing of a child. Living in close proximity to one another is the most efficient and beneficial way to promote regular parenting time. However, circumstances can unexpectedly change, and the parent with primary physical custody/time-sharing of a child can find him/herself needing to relocate. Long moves will unavoidably impact the ability of the other parent to see the child on a regular basis, and could also threaten the child’s emotional well-being. As a consequence, if the move is far enough, consent from the other parent or court approval is necessary prior to the relocation. 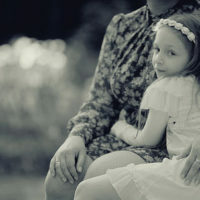 Failure to obtain consent or approval could result in a court finding a parent in violation of the custody/time-sharing order, and potentially lead it to modify custody/time-sharing in favor of the other parent. Understanding the legal process related to relocation is important for all parents, and a discussion of when permission is needed, as well as the court’s evaluation process, will follow below. Not every move is subject to parental consent or approval, as it would be unnecessary and burdensome in many situations. The law is only concerned with relocations far enough so as to make exercising parenting time by the other parent overly complicated or logistically impossible under the existing parenting plan. Florida law says that any relocation with a child that is 50 miles or more away from the parent’s principal residence as of the point that time-sharing was last considered by the court must be consented to by the other parent or receive court approval. if necessary, a description of transportation arrangements to facilitate the exercise of parenting time. if the request for relocation was made in good faith, and whether the objecting parent is current on his/her support or marital property/debt obligations in a divorce. Balancing life and shared child custody/time-sharing obligations may not be easy, but there are rules regulating each parent’s rights and obligations over the child. If you have questions or concerns about relocation or any other issue connected with exercising your parental rights, talk to a family law attorney today about your legal options. The Donna Hung Law Group represents clients in the Orlando area in all issues of family law, and is dedicated to obtaining the best possible solution for their clients. Contact us at (407) 999-0099 for a confidential consultation.